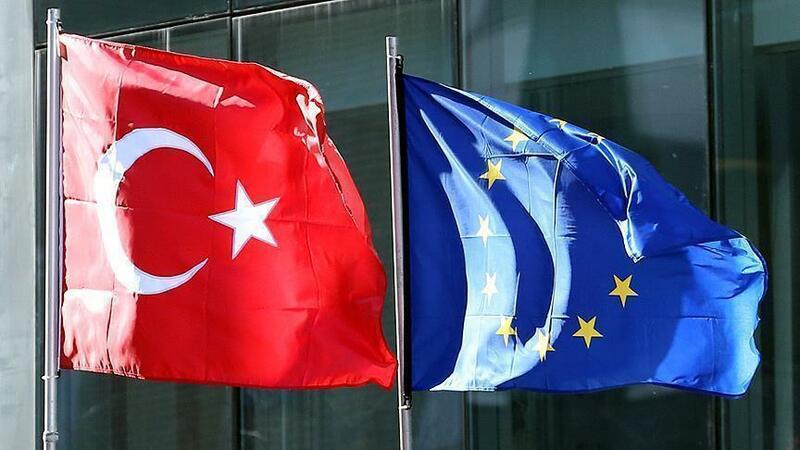 Nearly eight out of 10 Turks support Turkey's EU membership bid, new research revealed Tuesday. The Economic Development Foundation, an Istanbul-based group that specializes in EU-Turkey relations, found that 78.9 percent of respondents backed EU membership -- a 3 percentage point rise on last year. The rise came even though Turkey has been involved in several diplomatic rows with EU members over the last year, noticeably Germany and the Netherlands. According to the survey, which was conducted across 18 provinces over the last month in face-to-face interviews with 1,300 people, most Turks -- 68.8 percent -- do not believe the country will join the bloc in the near future. Among Turks who backed EU membership, economic advantage was the primary reason, with nearly half citing prosperity and economic development as their main reason for joining. Free travel and education opportunities were reported by 38.1 percent of respondents while another 34.5 percent mentioned enhanced democratic and human rights protections. Among those who opposed membership, many said it would harm Turkish identity and culture and claimed the bloc had no future. Turkey applied for EU membership in 1987 and accession talks began in 2005. However, negotiations stalled in 2007 due to the objections of the Greek Cypriot Administration in the divided island of Cyprus, and opposition from Germany and France.